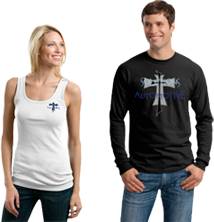 Joe Yannessa has been in the automotive industry for 25 years. He has been an ASE-(American Standard of Excellence) Certified technician for 20 years. 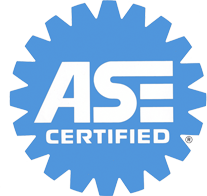 Technicians must pass eight areas of testing–air conditioning and heating, steering and suspension, engine repair, brakes, automatic transmission, manual transmission, electrical, and engine performance– to become ASE-certified. These tests are given twice a year. After technicians pass a test, they are retested every four years. Joe and his crew, always simply explains what’s wrong with a vehicle to make sure customers–whether male or female, single or married, with mechanical knowledge or not–feel they know what’s going on with their vehicle. Regular maintenance of a vehicle will keep it in good running condition longer. This will also reduce the expense of future work. Joe has always enjoyed working in the automotive industry and has worked with great companies, such as City Garage, Firestone, and ProCare. He worked his way up from a tech 4 low level tech to tech 1, the highest level tech. He also worked his way up to a shop foreman at ProCare. Nowadays, people look for personal business referrals. With a referral, they know they are going to a place where a friend has gone and received great customer service and the highest quality of service on their vehicle. Because of the unethical behavior of some techs, this industry has a bad image. Many consumers believe techs take advantage of them. Joe believes that you do yourself and your company no justice with this type of work ethic. He continues to train and keep his crew up to date on continued education to keep customer satisfaction before profit! Joe is involved in the Allen Chamber of Commerce, where he serves as an Ambassador and the Main over Seer of the Ambassadors club in 2007.He is also involved in BNI (Business Networking, Inc.). He was President and Vice president of his chapter, Building Business Dreams. He has been involved with the McKinney Chamber of Comerce for 9 years. Where he did serve as an Ambassador. He also served on the Links board for 4 years. He is a firm believer in Networking. He is very involved with Netweavers a very fast paced networking group. Joe believes in giving back to the community! 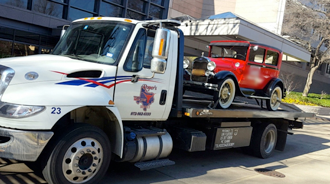 His company Solutions Automotive was the First Corporate Sponsor of the Allen Americans CHL Hockey Team. They take care of the up keep of the Teams and Offices vehicles! Not only do they help the team. Solutions Automotive is Very involved with CASA of Collin County! They have been a 5 year participant with Helping Raise Moneys for CASA. THis year w the help of the Allen Americans they gave 8 seats to ever home game for the children of CASA. Solutions Automotive has also been involved with Samaritan Inn! Doing Toy drives and also Serving Dinners at the Inn. They where also involved with filling a New Apartment of Samaritan Inns for a family transfering out of the Shelter. Joe and the Solutions Automotive family have received 2010 and 2011 Automotive repair shop of the Year from Dallas A List! They have also been nominated for 2012 Small Business of Year in McKinney!